I grew up in Ireland, which has used a system of proportional representation (ProRep) since it became a Republic almost 100 years ago. I have voted in several elections there and still have the right to vote in elections to the Irish Senate, though I haven’t lived there for 50 years. It is not well known that Britain strongly influenced Ireland’s choice of ProRep, fearing that Ireland’s Protestant minority would be denied representation in an Irish parliament elected under a first-past-the-post (“FPTP”) voting scheme. It worked; Ireland’s first elected president was a Protestant and the principle of proportional representation is generally accepted in all of Ireland as one that delivers fair results. British Columbians will soon be voting on changing how its provincial politicians are elected. For fans of representative democracy – the Provincial NDP and Green parties, most social, religious and labour organizations and NGOs – this change is long overdue. Opponents include establishment figures and the BC Liberal Party, though its last two leaders, Premiers Campbell and Clark, both advocated for the change to ProRep. The problem is obvious; our current FPTP voting system is a hangover of our colonial past. FPTP distorts election outcomes, regularly granting more than half the legislature seats, and consequently 100% of the power, to whichever party secures about 40% of the popular vote. Achieving total power for a term of four years with less than 50% of the vote is called a “false majority.” BC has had a lot of these. In the past 50 years, only one government – Gordon Campbell’s in 2001 – got more than 50% of the votes. This has the undesirable outcome of having governments assume power even though 60% of the electorate didn’t vote for them. FPTP causes smaller parties to be seriously under-represented. For example, the Greens got 17% of the vote in BC’s 2017 election, but won less than four percent (3) of the 87 seats, denying those views in the formulation of government policies. That is surely an affront to our most deeply held notions of fairness. Federally, FPTP does no better. Trudeau’s Liberals got 39.5% of the 2015 Federal vote, but netted 55% of the seats and 100% of the power. Harper’s 2011 Conservatives netted 39.6% of voters, got 54% of the seats and – yet again – all the power. In both cases, 60% of the votes didn’t vote for the winner, elected nobody and were discarded. Once elected in 2015, the Federal Liberals reneged on their election promise to change Canada’s voting system. ProRep legislatures have significant benefits for their voters. They are generally kinder, gentler, more progressive parliaments where politicians must co-operate to ‘get stuff done.’ They elect more women and minority members. They attract legislators who are of a co-operative, rather than combative, mind-set. They are, at least, equally stable and long-lasting as their FPTP counterparts. They resist incorporating extremist parties and views in government. But they do not exclude them. Instead, they afford them parliamentary representation if they garner more than the threshold rate, typically set at five percent of voters, for the formula to achieve a proportional result. They suffer far fewer of the “policy lurches” that bedevil FPTP where changes of government mean the reversal of taxation, regulatory and social policies and priorities of the past government. 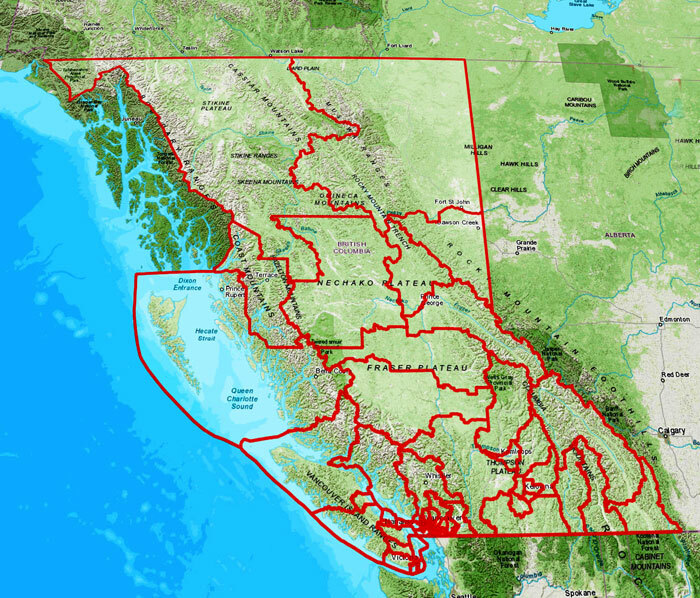 Such left-right (“army politics”) lurches create great uncertainties for BC businesses, educators, health care workers and social service organizations. They are also a great waste of both time and the public’s money. It is telling that no country that has switched from FPTP to ProRep has ever voted to switch back though several have held such referenda. BC’s legislation has the requirement that, should ProRep be approved this fall, BC will get to vote on keeping ProRep or changing back to FPTP two elections hence. The ProRep referendum is a historic opportunity to modernize our voting system and improve the functioning of our democracy. All evidence suggests we take it. Consider this when you cast your vote in November’s mail-in ballot. Eoin Finn B.Sc., Ph.D., MBA is a 40-year resident of BC and a retired partner of a major accounting/management consulting firm. Timely, concise and thoughtfully written from someone with experience from a Pro Rep country. Thanks Erin! Yes, indeed it does. But comments are moderated and there will be delays. Great article Eoin. I’ve shared it and told all to share it as well. Thanks for letting me know about this publication!